The Hexa collection of glasses brings together refined hand blown glass forms with Vezzini & Chen’s signature hand carved textures. Each ‘vessel’ is individually blown and paired with a solid glass base, carved in one of four textures, inspired by organic patterns and forms; line, spiral, intaglio and geometric. 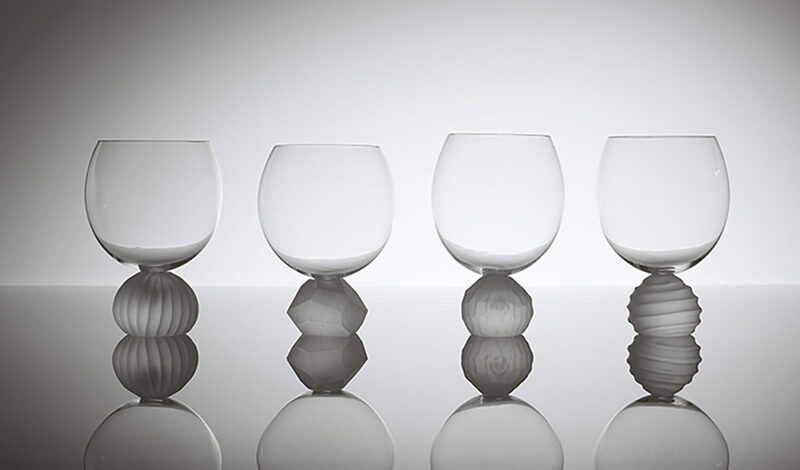 Each Hexa glass is entirely unique, with the hand carved texture naturally being applied differently with each edition, and the pairing of the two hand blown elements based on the individual proportions. The Hexa glasses are hand made by Vezzini & Chen in their London studio and are designed with both the ornamental and functional in mind; a piece to be enjoyed both on a shelf or on the dining table.